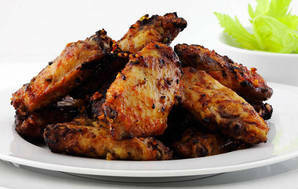 Campylobacter found in 65% of 40 fresh chicken products. A Consumer NZ test of 40 fresh chicken products found campylobacter in nearly two-thirds of samples. Consumer NZ chief executive Sue Chetwin says campylobacter was detected in 26 of the 40 products, all purchased from supermarkets. Campylobacter is the leading cause of notified gastrointestinal infections in New Zealand with rates peaking over summer. Last year, 6218 cases were notified. Campylobacteriosis continues to be the most commonly notified disease in New Zealand. Ms Chetwin says fresh chicken is considered responsible for half of all campylobacter cases. “The bug’s presence in the products we tested doesn’t mean you’ll get sick from the chicken but it increases the chances,” Ms Chetwin says. 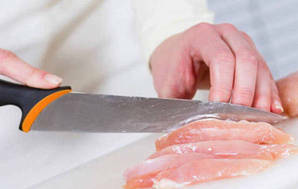 Campylobacter can survive if raw chicken isn’t cooked properly. It can also be spread to other foods and contaminate surfaces where food is prepared. Campylobacter rates dropped significantly after control measures were put in place in the poultry industry a decade ago. But Ms Chetwin says there’s general agreement rates are still too high and need to come down. She said Consumer’s research supports the case for regular testing by regulators of chicken sold in retail stores. “Experience in the UK, where retail testing is carried out, indicates it raises public awareness of the problem and can also prompt retailers and manufacturers to reduce contamination in the supply chain,” she says. In 2014, campylobacter rates in the UK were 103.9 per 100,000. Last year, rates in New Zealand were 135.3 per 100,000, down from 150.4 in 2014. The Ministry for Primary Industries (MPI) has set a target of reducing campylobacter cases by 10% by 2020. Current rules require poultry manufacturers to carry out testing of chicken carcasses at their processing facilities. However, not all manufacturers have been meeting MPI targets for reducing contamination. Data show between January 2013 and October 2014 there were 130 occasions where processing plants exceeded contamination limits. Campylobacter is found in the gut of chickens and other animals. Contaminated poultry products are one of the main routes for the bacteria to be transferred to humans. Contact with farm animals, and swimming at polluted beaches and rivers are other risk factors associated with getting the illness. Drinking contaminated water is also a major risk as shown by this year’s campylobacter outbreak in Havelock North. Campylobacteriosis, the infection caused by the campylobacter bug, continues to be the most commonly notified disease in New Zealand, comprising 44% of all infectious disease notifications in 2015. Is enough being done to reduce risks from campylobacter?